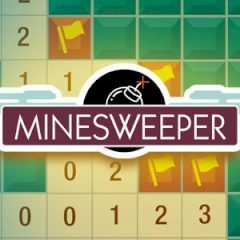 The field is mined and you have to defuse the mines by dragging the flags on the squares that are mined. Don't make any mistake soldier, it will cost your life! The game goal is very simple. You have to find all mines that are hidden in the ground. There are hints that will help you in searching the mines, but you have to be very careful as one single mistake can ruin everything. Find the mines one by one and drag flags on these positions. Clear the area and gain points for it.